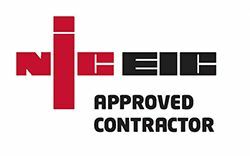 CMC Electrical Services is an electrical contracting services company based in Renfrewshire providing Electrical Services, Maintenance, Fire alarms, Security Systems, CCTV, Data/Comms & Multi Service Provider/Main Contractor to all sectors throughout UK.We pride ourselves in our highly professional standards of workmanship and are always aware of our Health and Safety responsibilities. The company was established in 2004 and has grown with our reputation for competitive costs, reliability and quality workmanship. Our clients are consistent due to the good relationship we forge through being professional. CMC Electrical employees are competent 17th edition electricians which are kept up to date with training to comply with our approved bodies membership criterias. We have now worked with Craig Campbell and his Team at CMC for over 10 years, in both our Construction and property management divisions of our Business. We have always found CMC to be very professional in their approach to, accurate and detailed costings, works on site and to our clients direct . Craig’s personal, hands on, day to day involvement with our projects right from the outset for me is what makes the difference. Without asking we are issued well advance of project completions with test certification, O and M manuals etc for our client handovers and our own records. The office staff are also helpful with any reactive jobs we have , always calling to make sure I know that it has been completed or what action is needed. CMC to me offer the complete service with, Electrical installations, Data installations, 24 hr call outs and Testing and would have no hesitation of recommending Craig and His team to others.